At RCS there is something for everyone! Based in the heart of Glasgow's vibrant city centre, we have 5 performance spaces, hosting over 500 events a year, across Classical Music, Drama, Musical Theatre, Jazz, Traditional Music and Ballet. Performance is the Conservatoire environment! Our Box Office is open 9am - 5pm Mon-Fri. Weekend opening times vary, so please call to check. You can book tickets online at rcs.ac.uk/boxoffice or by phone on 0141 332 5057. RCS are proud of our commitment to diversity, inclusivity and widening access, and we value and respect the identity of each individual. We aim to consistently be a welcoming and inclusive environment. If there are any improvements you feel we can make please contact us at audienceoperations@rcs.ac.uk or by calling us on 0141 332 5057 or Text Relay Service 18002 0141 332 5057. We offer concession priced tickets for RCS productions to any customers with additional access requirements. Dedicated wheelchair spaces are provided in all venues. Seethe seating plans for positions. 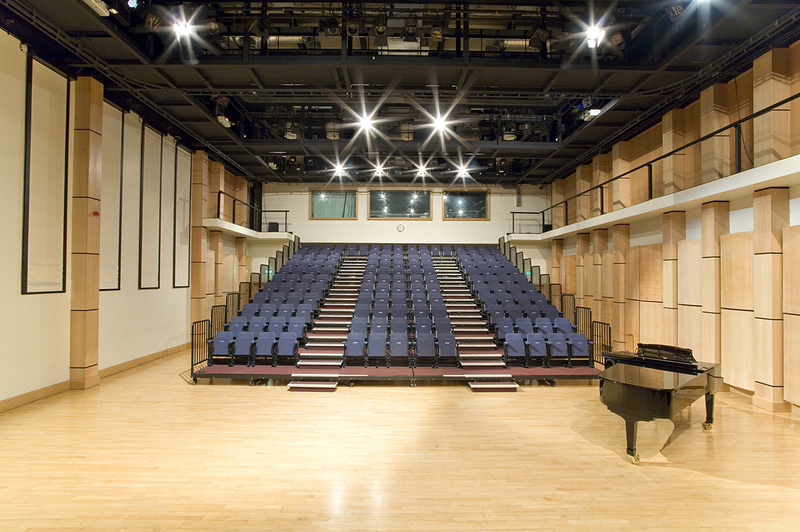 There is level access from the ground floor of the Royal Conservatoire at the main entrance on Renfrew Street to all levels. Accessible lift serves all floors. Box Office: Low access sales point available. Accessible via lift. Cafe Bar: Medium height service points. Accessible via lift. Stalls rows K&L: No stairs. Stalls rows A-J: Some small steps. No hand rail available. 1st and 2nd Circles: 4 to 6 steps to access all rows. Hand rail available. Accessible via lift. Stalls row A: No Stairs. Accessible via lift. Stalls rows B-M: Some small steps. No hand rail available. Venue is accessible from front (row A) and rear (row M). Accessible via lift. Balconies: 4 to 6 steps to access all rows. Hand rail available. Accessible via lift. Row A: No Stairs. Accessible via lift. Rows B onward: Some steps. Hand rail available. Accessible via lift. We are happy to offer an additional complimentary ticket to any customers who require a personal assistant in order to access the venue. Please book via the Box Office (0141 332 5057 or Text Relay Service 18002 0141 332 5057). Multi-storey parking facilities are available at Cambridge Street, Concert Square and Buchanan Galleries. Fully DDA compliant facilities are available in the Cambridge Street multi-storey. The charge for use of these facilities is £1 after 6pm. Dedicated disabled parking spaces are available at the back of the Renfrew Street building and are accessed from Hope Street (there is wheelchair access to the Royal Conservatoire at the Hope Street entrance). Renfrew Street has single yellow lines and Hope Street double yellow lines. As both these streets are main traffic routes there is no parking on either street between 8am and 6pm. However, there are Park and Display bays on Renfrew Street and outside of peak times (8am – 9,15am & 4.15pm – 6pm) Blue Badge holders may park in the Pay and Display bays without limit of time or charge. Accessible unisex toilets with emergency call buttons are available on the ground and first floors at Renfrew Street. BSL interpreted and captioned performances are available as advertised. Please visit our Deaf Theatre Club page for more information. All our venues are fitted with an induction loop. Patrons who are hard of hearing and fitted with a hearing aid should use their T-switch. We welcome guide dogs and hearing dogs. The lift to all floors has a voice announcement. If you have any queries please get in touch at audienceoperations@rcs.ac.uk or by calling our Box Office on 0141 332 5057 or Text Relay Service 18002 0141 332 5057. 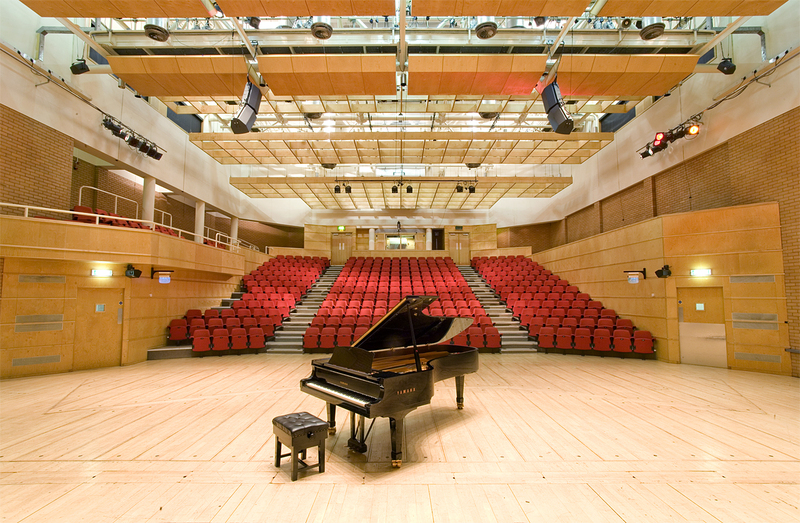 Here at the Royal Conservatoire of Scotland we are committed to making our performances accessible to as many people as possible. We are delighted to offer Audio Described performances throughout the year. Blind or visually impaired customers can purchase a ticket for these performances at a discounted price of £5. Just select the ‘Audio Described Booker’ discount when booking online, or by phone (0141 332 5057). Headsets are available from the Box Office for Audio Described performances at no additional charge. Guide dogs and Hearing dogs are very welcome. You can keep them with you in the auditorium during the event, or we will be happy to look after your dog in the foyer while you enjoy the performance. If possible, please let us know in advance if you are bringing your dog, so we can be sure to give you both a warm welcome! At RCS, performance is everything. We want the deaf community to join us in experiencing our performances and share our passion for the arts. Developed in collaboration with Solar Bear, RCS Deaf Theatre Club is for deaf, deafened and hard of hearing people throughout Scotland who enjoy theatre. We offer a mix of signed or captioned shows throughout the year. Deaf Theatre Club members can get a ticket for these performances at a discounted price of £5. 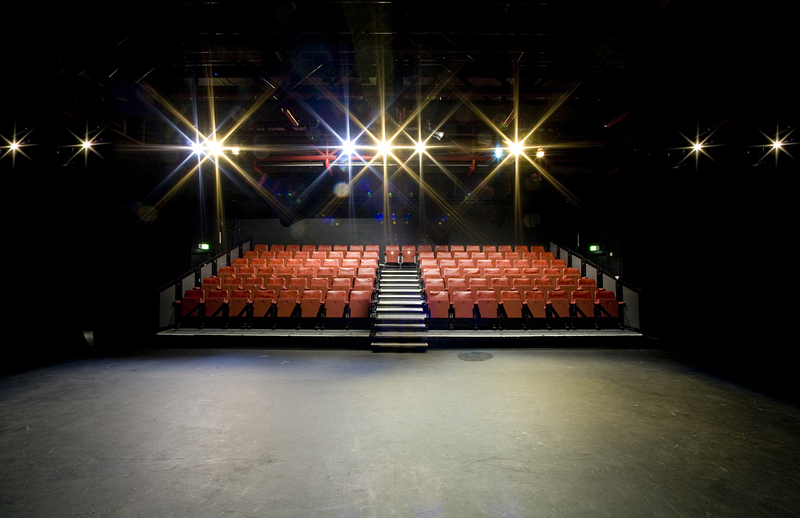 Just select the ‘Deaf Theatre Club’ discount when booking online, or by phone. We have a special selection of seats available in the New Athenaeum Theatre and Stevenson Hall which are only £5 for anybody all year round for RCS productions. These seats are limited, so please book early. Concession prices are available for most RCS shows, and generally apply to over 60, under 16, unwaged, students, and registered disabled customers (we are happy to offer a free ticket to carers of disabled customers where required). External Promoters may offer different concession options. YoungScot card holders get an additional 20% off, on top of the concession price. Just choose the YoungScot concession type, and remember to bring along your card when collecting your tickets. External Promoters may offer different concession options. A group booking discount of 20% is available for groups of ten or more. Please contact the Box Office to make a group booking – Not valid on visiting promoter events. Please visit our Tickets26 page for full details. We do not charge any transaction fees for RCS productions. A 75p charge is made when tickets are posted. External promoters may charge additional transaction fees. If so, these are detailed in the online event description. Glasgow has two main railway stations: Queen Street and Glasgow Central. Both are within ten to fifteen minutes’ walk of the Conservatoire. Visit www.thetrainline.com or www.scotrail.co.uk for more information. We are located close to the M8 motorway. From the West exit at Junction 17 (Dumbarton/Kelvinside), keeping to the right fork. The nearest subway station is Cowcaddens. The central bus station at Buchanan Street is just five minutes walk from Renfrew Street. The following bus services stop outside the Royal Conservatoire on Hope Street: 20, 23, 23A, 41, 50, 54, 55, 66, 75, 801 and 803. For up to date timetables visit the First Glasgow website. Give the perfect gift with an RCS gift voucher. Our Box Office gift vouchers are valid for one year, and can be used to purchase tickets or merchandise from the RCS Box Office. A group booking discount of 20% is available on RCS performances for groups of ten or more. You can also reserve your group booking now, and pay later. To make a group booking please call the Box Office on 0141 332 5057. Unfortunately we can’t offer group booking discounts on visiting performer productions. Saturday opening hours vary. Please call the Box office for details (0141 332 5057). Outside of these hours the box office will open 90 mins prior to the start of a performance, and remains open until 15 mins after the start time. When the Box Office is closed, or during busy periods (60 mins before the start of a show for example) we may not be able to answer the phone immediately, as we will be serving customers at the Box Office counter. During these times we operate a call back service. If we can’t answer your call right away, please do leave your name and number on our call back service, and we will call you back as soon as possible. The Royal Conservatoire of Scotland has published the following documents to support good data protection practice and to comply with current Data Protection law. You can find information about the changes in data protection law from the Information Commissioner’s Office (ICO). We are delighted to introduce relaxed performance at RCS. Relaxed performances specifically cater for people who would benefit from adjustments made to our shows, such as customers with Autism Spectrum Disorder, sensory and communication disorders, or a learning disability, and it is also a relaxed atmosphere for parents with very young children to enjoy the performance together. Slight adjustments to the performance can make a huge difference to audience members’ comfort and enjoyment throughout a relaxed performance. For example, changes could include having more light in the auditorium and less intense lighting and sound effects during the performance. Relaxed performances also have a more accepting attitude to audience noise and allow freedom of movement in and out of the auditorium as needed during the show. 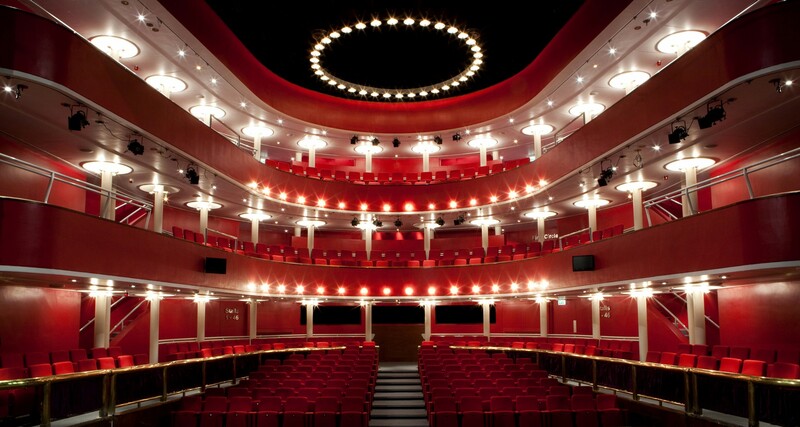 We have 5 performances venues within the RCS. Please click on the venue names below to download the seating plans. 1. Once purchased tickets cannot be refunded, except in the event of a cancelled show. 2. Exchanges may be available for a future show, to a seat of the same value or higher. A £1 fee is charged for exchanges. 3. It may not be possible to admit latecomers, so please aim to arrive at the venue 15 mins prior to the start of the performance. 4. Reservations can be held for three days without payment. Reservations will automatically be released after three days unless payment is received. Tickets reserved less than three days prior to the performance will be automatically released the day before the performance. Reservations cannot be made on the day of a performance. 5. We reserve the right to refuse admission. 6. Please ensure that mobile phones and other devices are switched off during the performance. 7. Filming and photography are not permitted during the performance. 8. Glass, bottles and hot drinks are not permitted in the auditoriums. 9. Event content may occasionally change at short notice, or differ from details printed in the performance guide and online. 10. Some events may not be suitable for young children.